I have a few hints and tips for poaching eggs below. If you've not poached one before, be brave. It's much easier than you think! 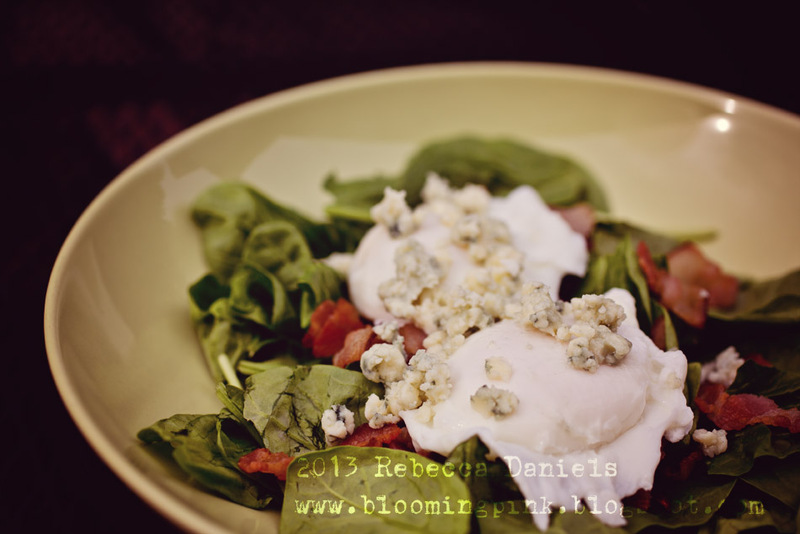 Poaching actually became one of my husband's and my favorite way to prepare eggs. They are perfectly white when done and more virtuous than a fried egg. 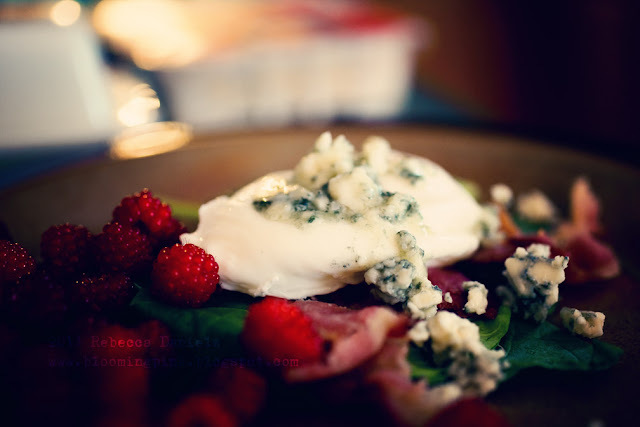 I am sure if my husband can produce a perfectly poached egg, so can you! 3.5 Minutes - Firm whites and a soft runny center. 4 Minutes - Yoke that is starting to set. Fresh eggs. I have a nearby "chicken lady" or the Farmer's Market. The whites are fresher and firmer. And perfect. Do not keep the boil in the water when poaching. You'll only get a mess. I always bring the water to a rapid boil and then reduce it to only a simmer with rising bubbles. An ever so gentle simmer will keep the egg from tearing apart before the white has time to set. Use shallow water. About 3 inches is all you need. If you can spin the water to create a vortex before dropping in the egg, it will keep the egg contained. If you are just starting, practice this skill a little later. It's a little trickier this way. Use a splash of lemon in the water. It'll set faster and you'll get fewer stringy bits. Yeah, so that's a perfect start to your day!